Brooklyn, NY - Once again, the NYPD is turning to the public for help, hoping to locate a woman who stole jewelry and silver from the home of a 90 year old Jewish woman. Police said that the incident took place on July 23rd near 15th Avenue and 48th Street in Borough Park at approximately 4:45 PM when an intruder entered the victim’s through an unlocked door. 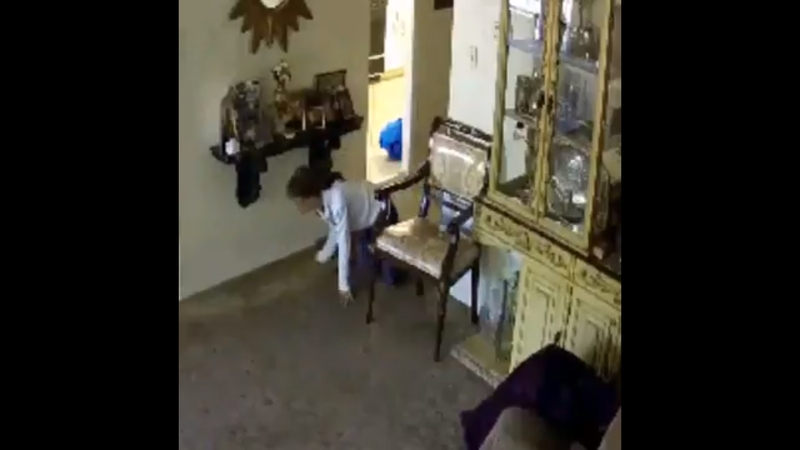 Surveillance video shows a Hispanic woman wearing a white shirt, blue pants, white sneakers and glasses crawling her way into a room holding a light brown backpack, rising as she made her way towards the victim’s china closet. The victim was home at the time the break in occurred. Police said that it is unclear if she was aware of the intruder or if the two interacted in any way. No injuries were reported in the incident. The suspect removed jewelry and silver items valued at $2,000 from the victim’s home before fleeing on foot in an unknown direction. If your going to go to the trouble of installing surveillance cameras, add on 10% off the price and get good quality cameras. sounds odd to install a camera in a home like that. and, how has the monitor of this camera allowed for the door to be unlocked?